Yesterday, the United States Supreme Court held that “Congress can regulate sports gambling directly, but if it elects not to do so, each State is free to act on its own.” This holding effectively opened the door for each state to determine whether it will legalize sports gambling–unless (of course) Congress steps in with legislation to regulate gambling itself. 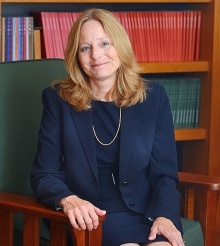 The holding will be the subject of a number of forthcoming articles on the blog, but we wanted to highlight the expertise our co-founder, blog director and chair of the University at Buffalo School of Law’s Sports Law program, Nellie Drew, has given to both local and national media. Professor Drew was interviewed and quoted in a number of articles, linked below. Congratulations, Professor Drew, and thanks, as always, for making us look good! About Professor Nellie Drew: Helen A. “Nellie” Drew is an expert in sports law. She can comment on professional and amateur sports issues ranging from NCAA compliance and Title IX matters to facility construction, discipline of professional athletes, collective bargaining and franchise issues.